There is nothing like getting a card from someone to make you smile. Whether the card is handed to you, left on your desk, or mailed with a stamp it shoes that someone really cares about you. When I was in middle school, I became a Secret Pal for my younger cousin. For years I sent her fun cards, little gifts and messages letting her know that her Secret Pal loved her. During those years, I would often go to Hallmark stores in our local mall and spend hours buying cards to have on hand. I have to admit, I am a Hallmark snob. 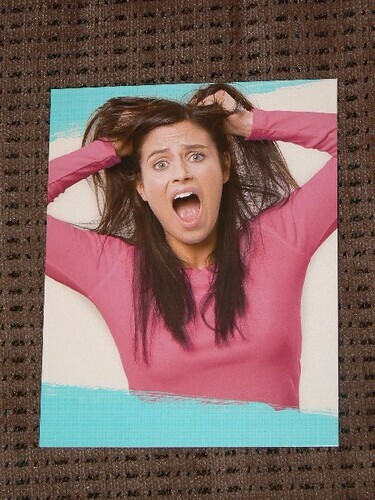 Those commercials with people flipping the card over. . . . that’s me! Recently, I was contacted by the Family Review Network to see check out some samples of Hallmark’s new Edge of Motherhood and Moms Encouraging Kids lines. Inside: "A company that has pooped on you, literally, but still it’s a company." Inside: "Being a Mom is the most rewarding job that will ever make you want to tear your hair out. Don’t worry. It’ll grow back in." "The survey also revealed moms’ desires to encourage their kids more, particularly at the back-to-school timeframe. When asked about giving encouragement to their kids, more than three-fourths of moms said they are looking for new ways to boost their child’s confidence during back-to-school. 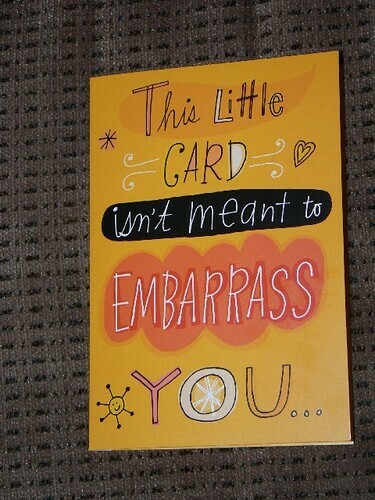 To address their need, Hallmark has introduced new cards just for kids, which use humor, sound, and heartfelt messages to help adults “breakthrough” in a genuine, authentic way, packing a confidence boost." Inside: "There! Now you have good luck! 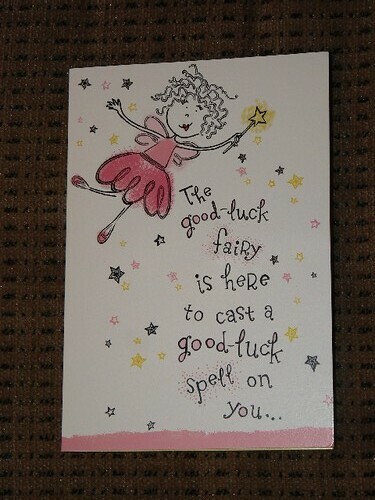 (But you can open this card again anytime you need some more!) Music like a fairy waiving their wand plays upon opening. Inside: "…TOO much." A loud, mother is heard saying " Hi Honey. Hi! Guess who loves you? I do! I love you so much. That’s right schnuckums. You heard that? I love you!" I honestly fell in love with the Edge of Motherhood cards. I adore the fun sense of humor, slight sarcasm and mommy-isms that all mothers will understand and sympathize with. Not only did I laugh as I read them, I nodded in full agreement with sentiments expressed within the cards. I also sat there looking at my cards planning out people who I would send them to to make them smile and let them know I was thinking of them. 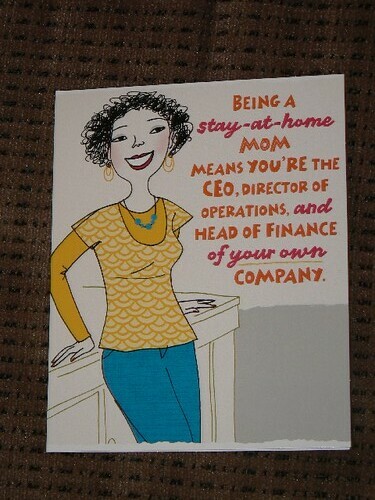 Next time I need a card for a mom friend, these will be on the top of my list. Growing up, my mother used to tuck a card/note into my lunch at school. I would feel special and her words would carry me through the rest of the day. I have done the same and thing with my oldest son. The Moms Encouraging Kids line is a perfect and fun way to help kids know they are extra special to us. I know that I plan on going out to my local Hallmark store to look for a back to school card to tuck into my son’s bag for his first day of 1st grade in a few weeks. Oh my goodness!! I love those cards. SO fun!! But then I love cards. When I have extra money from grocery shopping I go next door to Hallmark and buy just one card to send to a family member or friend I am currently missing. I am going to have to check those out. I love them! I heard about these cards online but didn’t think they could be that great, or worth buying and sending. But I was wrong! My passion is encouragement, so I am thrilled to hear that Hallmark believes in the importance of encouragement also.